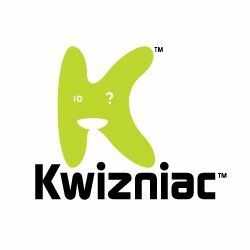 Kwizniac is a trivia countdown game designed to test your knowledge under pressure. 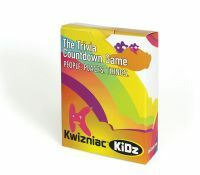 The object of the game is for players to accumulate as many points as possible by correctly answering as many trivia questions as possible. To help players correctly identify the answer to each question, a set of 10 clues is provided in decreasing order of difficulty, where each clue is easier to decipher than the previous clue in sequence. For the Kidz edition, there would be only 5 clues. The number of points a player receives for a correct answer decreases as he or she progresses through the sequence of clues. The player with the highest score wins the game.